Many organisations are in the business of designing and implementing projects, programmes and interventions. Often managers and the funders of these projects and programme are keen to know whether they meet their objectives and whether there is value for money. Such knowledge and decision making are not done by mere observations. There are underlying frameworks and systems that should be used. 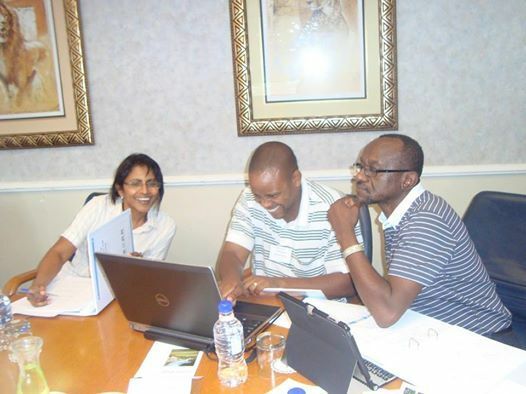 Monitoring and evaluation (M&E) of projects and programmes provide managers, funders and stakeholders with better means for learning from past experience, improving service delivery, planning and allocating resources and demonstrating results as part of accountability to key stakeholders. conduct quality M & E.
Monitoring and evaluation is a planning and management tool to ensure that programmes are kept on track and delivered to meet their objectives. Monitoring and evaluation is also essential for making corrective measures in the lifetime of the programme as well as documenting and reporting on performance over time. Furthermore, a good knowledge of M & E is important at the design stage of projects.